New Dance Trend: Check Out This 'Running Man Challenge' That Is Taking Over Social Media - Ooooooo La La! There's a new dance challenge sweeping over social media called the #RunningManChallenge. All of the video dance challenges are accompanied by the '90s track, "My Boo" by Ghost Town DJ's. 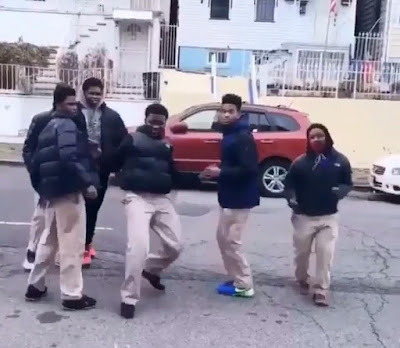 Although some reports online say the Maryland Terrapins have started this challenge, I have to disagree because my New Jersey peeps been doing this dance. Now, if you're around my age, meaning over the age of 30, then you know this is not OUR original Running Man dance. These kids are just having some fun. There's different people claiming to be the originator to this so-called running man dance, including Kevin Soze who calls himself the 'Running Man Challenge Creator' on Instagram along with @jerrygunnz.